Which is great because it's outfitted with all the tools of our trade, making it possible to stay on the road forever, making our mark wherever we go. 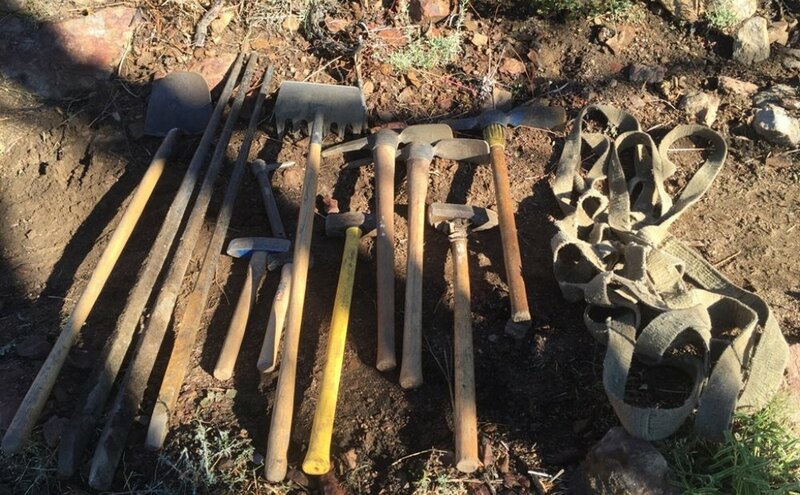 Instead of holding regular sales meetings, we give retailers directions to our nearest trail, hand them some pick axes, shovels and canvas bags so they can help work on the public land we're all out there enjoying. For us, we made it a requirement to put in some real hours on the trail before you can ever carry our brand. If a place near you needs attention, give us a call or send us an email. Rattle and Hum is always on the road and we want to come do the work. We'll be sure to let you know when we're swinging through so you can come swing an axe with us.